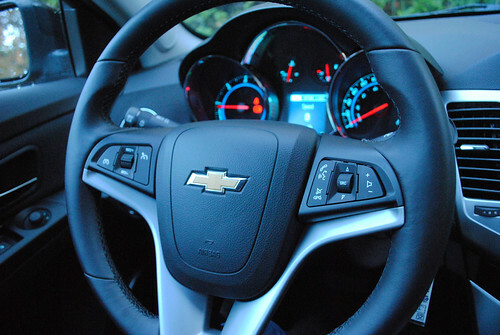 When Chevrolet contacted me a few weeks ago and invited me to test drive a Cruze for a week, I wasn’t sure what to expect. 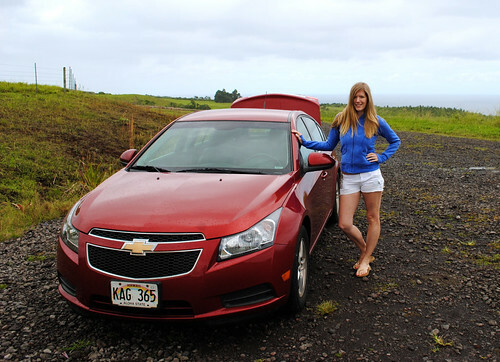 On our trip to Hawaii last November, J and I rented a Cruze for the week and – being that it was a rental car – it was lacking in any kind of extras. However, Chevolet offered me their 2014 Cruze Diesel and assured me that all the bells and whistles would be included. My initial reaction upon slipping into the driver’s seat was of utter delight. Sleekly-designed controls, comfortable seating and ample room for leggy drivers such as myself defined the Cruze as anything but standard. 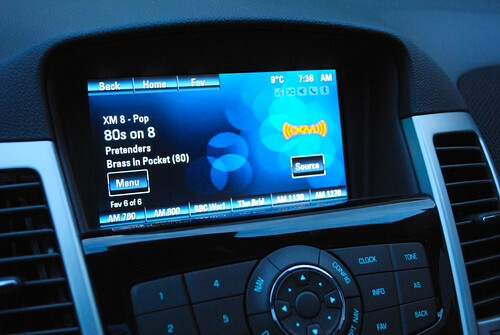 While a fully-loaded dashboard can be intimidating, the Cruze’s controls were simple to navigate. I had my seat warmed and the XM radio tuned to ’80s on 8 before I left the car lot. During the week of my test drive, my mom was visiting me here in Vancouver, so we spent a lot of that time exploring the city in the Cruze. Convinced that the car handled well and maneuvered smoothly through city streets, I wanted to see how the car took to the highway. On a sunny Sunday, we wound our way up the Sea-to-Sky highway to visit Whistler. While I expected to make the trip in comfort, I was surprised by the car’s features along the way. The temperatures dipped around Whistler, and the car’s display informed me that slippery sections were possible on the road. Another fantastic aspect of the car’s safety was the blinking lights on the side mirrors whenever another vehicle was in my blind spot. Lastly, I can’t write about my experience with the Cruze without mentioning fuel consumption. 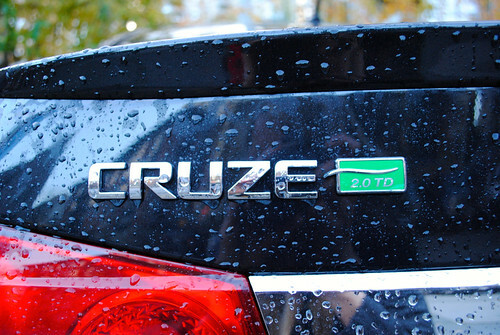 Diesel vehicles are famous for their fuel efficiency and the Cruze Diesel is no exception. I was able to drive all around Vancouver – including trips to IKEA and Metrotown – as well complete a round-trip to Whistler, and the car still had more than half a tank of diesel fuel! 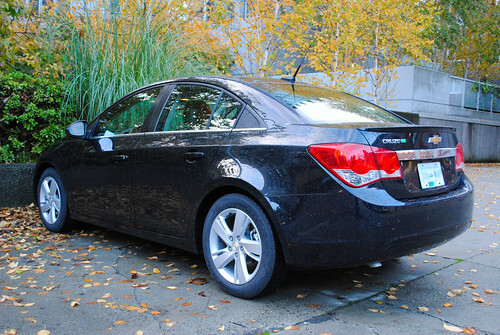 If I’m honest with you, I’m not much of a “car person.” I prefer more rugged rides like trucks and SUVs, but the 2014 Chevrolet Cruze Diesel is a gorgeously-designed sedan with driver safety at the forefront. Packed with some of the most modern technology, it’s comfortable, roomy and a very capable car that I found to be a lot of fun to drive. A huge “Thank you!” to Carter GM in Burnaby for providing the 2014 Chevrolet Cruze Diesel to drive. For more information on the Cruze Diesel, visit GM Chevrolet online. CMP.LY/2 My test drive of the 2014 Chevrolet Cruze Diesel was complimentary and provided courtesy of GM Chevrolet. I was not paid or asked to write this post. My thoughts, views and opinions are entirely my own. What a comfortable ride that was! I loved being able to see on the screen the rear view as you backed up. Definitely packed with lots of safety features!